As part of the Microsoft Game Stack announcement we are proud to present PlayFab User Generated Content, which is now available in Private Preview. 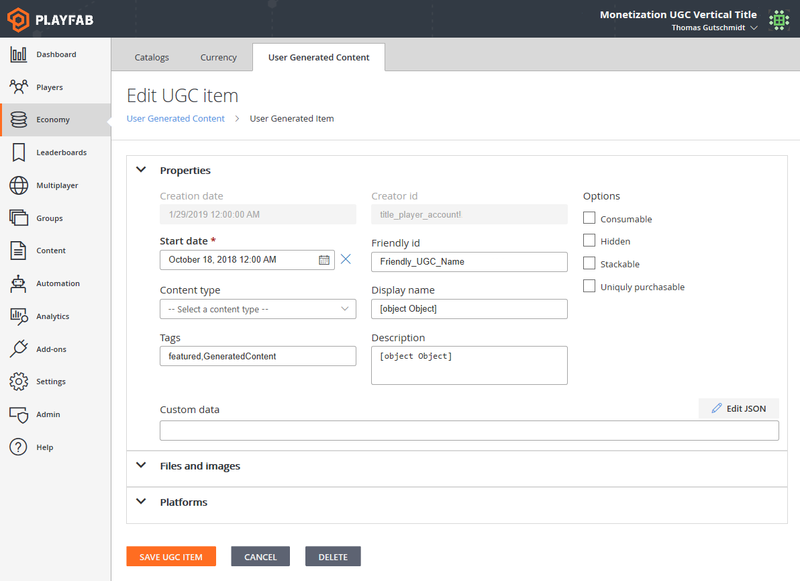 PlayFab UGC was built to provide an easy to use, snappy, and relatively generic solution for developers to build UGC catalogs for their games. It is derived from the same technology used by Minecraft Marketplace and other Xbox Game Studios partners, and we have worked hard to integrate it into PlayFab so that developers everywhere can bring User Generated Content to their games. We’ll be showcasing PlayFab User Generated Content (and plenty of other new services and tools for game creators) at the Game Developers Conference in San Francisco next week. For those interested in learning more about the service you can get a demonstration at the Microsoft Game Stack GDC booth. If you are interested in joining the preview we have a limited number of spots open. Email HelloPlayFab@Microsoft.com, and we will enable your PlayFab title for the free preview if space allows. We hope to make PlayFab UGC an easy to use and robust solution for creators of all kinds, and are looking forward to both your feedback and to see the amazing things you enable your communities to build with it.